Editor's note: GM is upgrading the consolidated line at its Oshawa assembly plant. An earlier version of this story referred to the incorrect line being upgraded. General Motors Canada will indeed assemble the GMC Sierra and Chevrolet Silverado at its Oshawa plant, but they won’t be the redesigned 2019 models. 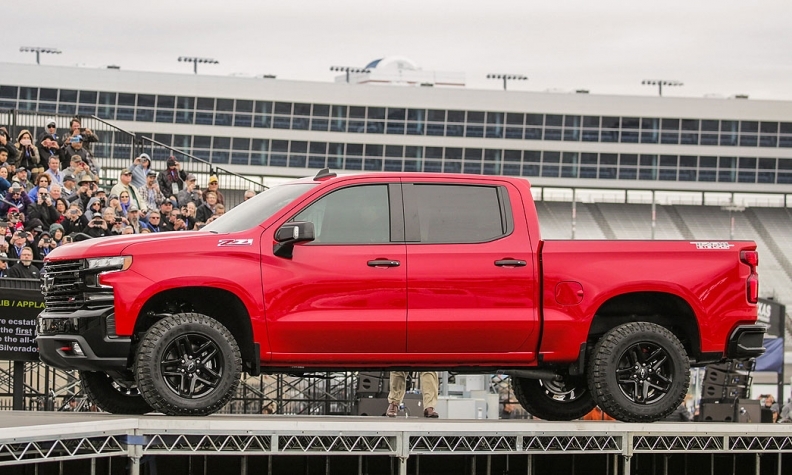 GM unveiled the sleeker, more aerodynamic 2019 Silverado on Saturday in Texas. Instead, the plant will finish assembling and paint outgoing 2018 models shipped to Oshawa from Fort Wayne, Ind., for the foreseeable future. “Oshawa will be building current model (K2) pickups that helps us meet customer demand while we are in transition to next-generation (T1) pickups,” GM Canada spokeswoman Jennifer Wright wrote in an email to Automotive News Canada. “This strategy will help us meet customer demand as we transition our production and introduce our exciting new models into the market starting later in 2018. Wright said GM CEO Mary Barra recently told investors she expects Oshawa to produce 60,000 trucks a year. Unifor president Jerry Dias doesn’t know when production of the current model will end. The idea of building two different versions of the same nameplate isn’t new to the industry -- and certainly not to General Motors. As the automaker transitioned to the next-generation Equinox in early 2017, it still produced the outgoing model alongside the new version for a time. Unfinished Equinox vehicles were sent to Oshawa from GM Canada’s Ingersoll, Ont., plant. Eventually, Oshawa stopped receiving the overflow Equinox. At least one of GM’s competitors plans on doing the same thing in the red hot North American truck market. Fiat Chrysler will build the current version of the Ram light-duty pickup well into 2019, even after it launches a redesigned Ram 1500 in early 2018, Automotive News reported on Oct. 31. GM is spending more than $400 million to upgrade Oshawa’s consolidated line, which used to build the Equinox but will now build trucks. The existing flex line, which has the ability to produce multiple different vehicles at one time currently produces the Cadillac XTS and Chevrolet Impala. The upgrade was part of a four-year contract the automaker and Unifor, the union which represents GM workers in Ontario, agreed to in September 2016. Meanwhile, GM is spending nearly $3.85 billion alone to upgrade factories that will build the next-generation Silverado in Flint, Mich., Fort Wayne, Ind., and Silao, Mexico. The new version of the Silverado is sleeker and more aerodynamic with expanded powertrain options and functionality, for the 2019 model year.